Perhaps you have come to the realization that your business needs to build its first website. Or maybe you need to redesign your business’ first website that was built 5 years ago. OK. Consider the amount of time it will take for a designer to take a clean sheet of paper and create your vision. The amount of time to place the coding foundation in to place. The amount of time to massage and/or customize that coding to begin bringing your website to where you want it to be. Or the amount of time to validate the coding to ensure that it is Search Engine friendly. Or to rigorously test the coding in an array of different browsers to ensure cross-browser compatibility. Will it also work on Smart Phones? What about Tablets? Will it work effectively on all devices? More time = more money. For those reasons, purchasing a WordPress theme for your new or redesigned website project can be a very smart decision. It can also be a very cost-effective decision. But be cautious about it. 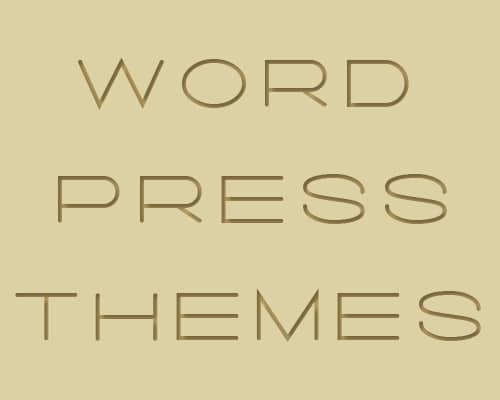 There are thousands of WordPress themes available to chose from on the internet. Some of them are very good. Some of them are very bad. Some are created by amateurs. Some are created by very experienced teams and or design firms with a proven track record of creating solid, effective and first class products. ThemeForest is an excellent place to begin your search. In a sense, a WordPress theme is an already completed and built website that you can see in its finished form. Somebody else has already done the design work. Somebody else has already completed all of the necessary and rigorous testing to achieve a stable and effective website. You get to see and make sure that it works on Smart Phones and Tablets for the “on the go” people. You get to see it and how it functions before your project even begins. Less time = less money. A purchased theme (typically in the $35 – $60 range) is then installed into a blank/empty WordPress website. Its own inherent options and plugins are configured and then combined with your content and photos to achieve the final result that you seek. WordPress themes (the ones I research and recommend to you) are also fully tested to be cross-browser compatible and fully responsive in order to display properly on smart phones and tablets. My WordPress Themes Installation Services provide you with theme choices from top-quality firms that have a proven track-record. I also do all of the installation, configuration and building, validating and work involved in order to make your website Search Engine friendly. By taking advantage of WordPress Themes and my WordPress Themes and Installation Services you can attain and complete your entire project for a lower price. Paying a lower price allows you to allocate more money to other portions of your business.